Por Senchey district military police on Wednesday arrested an army officer accused of assaulting his wife and threatening to kill his in-laws after the latter threatened to expose the officer’s adultery on Facebook. 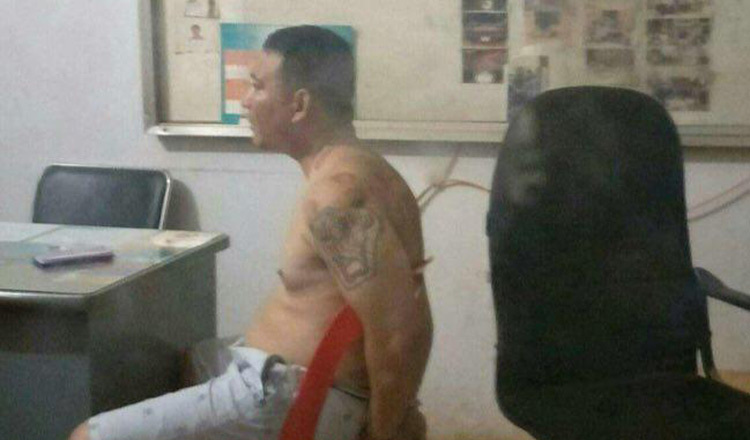 Captain Ven Sopheak, a district military officer, yesterday identified the accused as Major Hang Rader with the Kampong Speu provincial military base who lives in the district. Cap Sopheak said the wife of the accused told military police that Maj Rader had an affair with a beauty product vendor in the province, adding that Maj Rader had met his mistress on Facebook. He noted that between March and December of last year, Maj Rader lived with his mistress at a rental home in the province’s Chbar Mon city as his wife begged him to return to his family and cease the affair. Cap Sopheak said Maj Rader in December brought his mistress to attend a wedding in Takeo province. At the wedding, while the two were drinking, Maj Rader’s wife’s sister and mother sneaked into the wedding and took photos of Maj Rader and his mistress. On Wednesday at about 8pm, Maj Rader returned to Phnom Penh, confronted his in-laws and told his wife to have the photos deleted. However, the trio refused and instead threatened to use the photos as evidence of his adulterous ways. Cap Sopheak said Maj Rader was later arrested at about 9pm by police at his home in Chom Chao Pi commune. 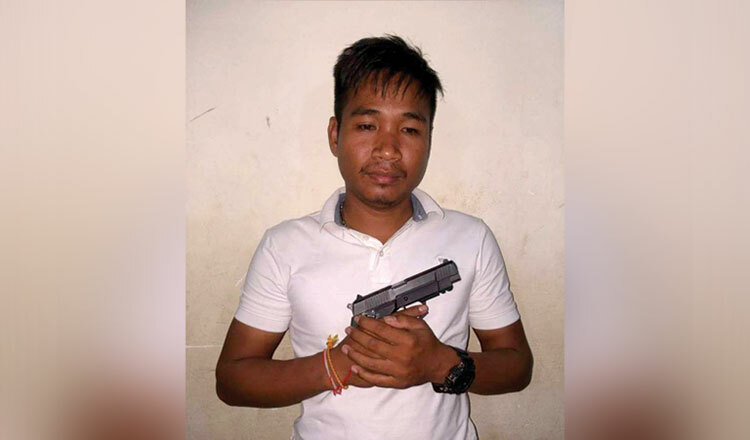 Police then confiscated his pistol, along with 15 bullets. Cap Sopheak noted that after his arrest, Maj Rader was interrogated at the district military police station. He was then sent to the Municipal Military Police Headquarters to be further interrogated. Major Keo Piseth, an officer with municipal police, yesterday said Maj Rader has been accused by military police of using an illegal weapon and death threats. Maj Piseth said Maj Rader is expected to be sent to court today. If convicted, the accused could face up to two years in prison.